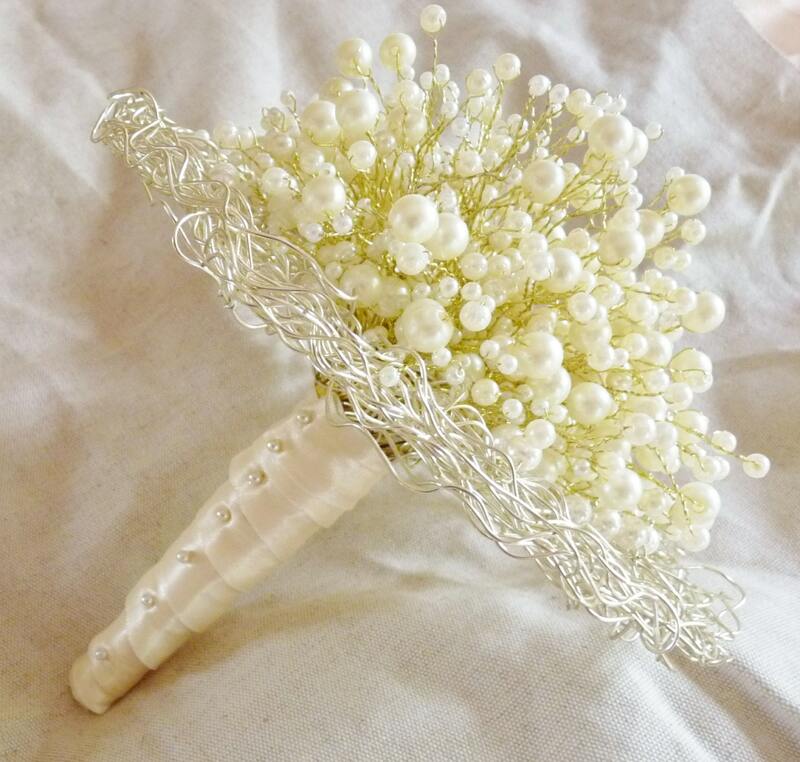 Wedding Bridal Bouquet with pearls in ivory, wire frame and gold wire stems and ivory ribbon. 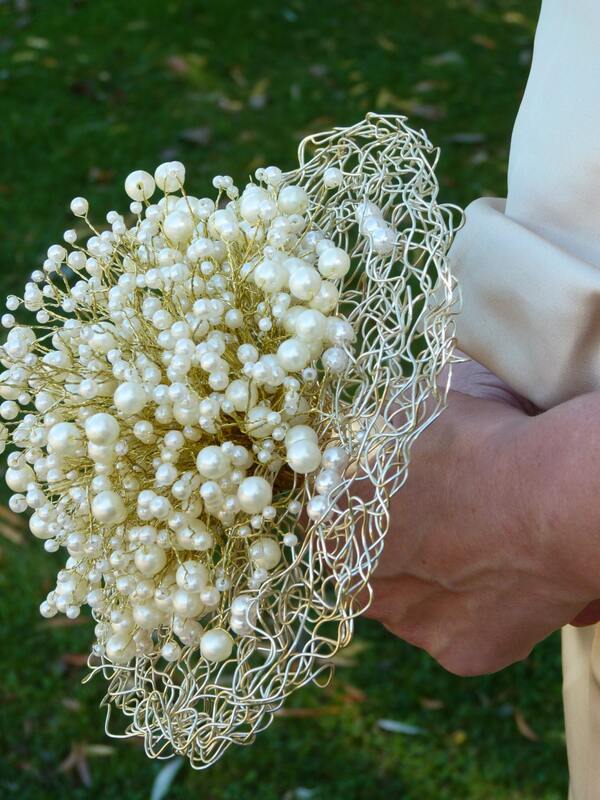 This beautiful wedding bridal bouquet is made from acrylic ivory pearls hand tied with a gold wire and pearl collar. 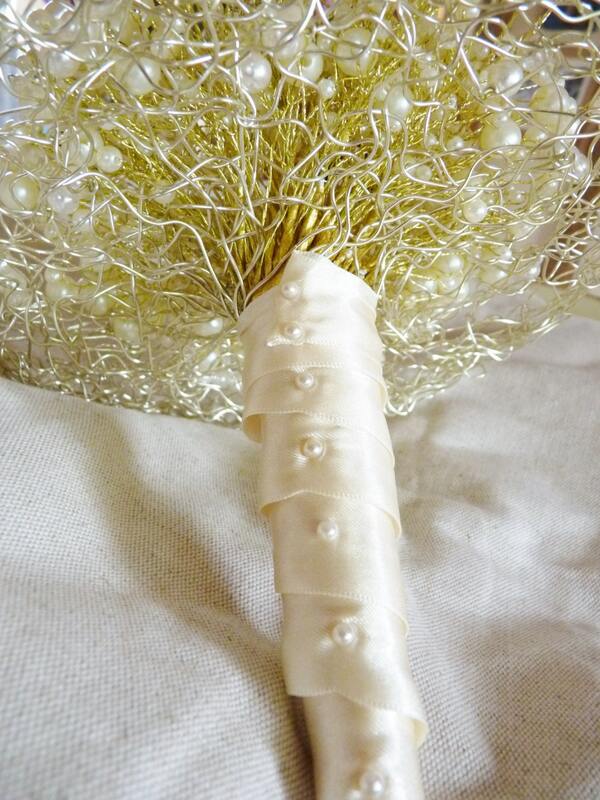 The stem as been wrapped in cream/ivory satin ribbon. You do not need a Pay Pal account to pay for your items through Pay Pal, all major credit cards are accepted through Pay Pal. Please pay within 24 hours of placing your order. Orders outside the UK will be sent via Royal Mail Airmail. Delivery times vary but are usually 1 - 2 days for the UK, 4 - 6 days for Europe, 10 - 14 days for the US and Canada. 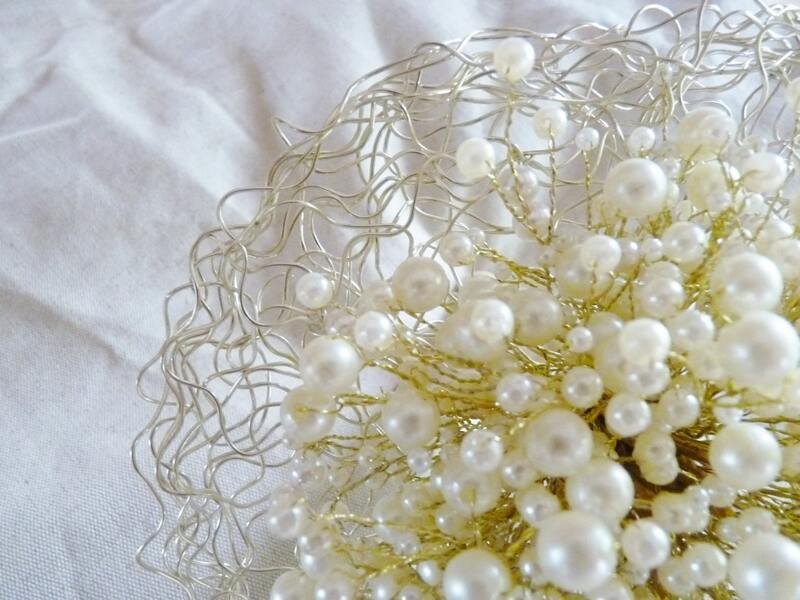 The parcels will be trackable and may need a signature on delivery. If you are an international customer please note you are responsible for any and all duties and customs that may be incurred. If not suitable please let me know within a week of receiving goods and I will refund the full amount minus shipping costs. 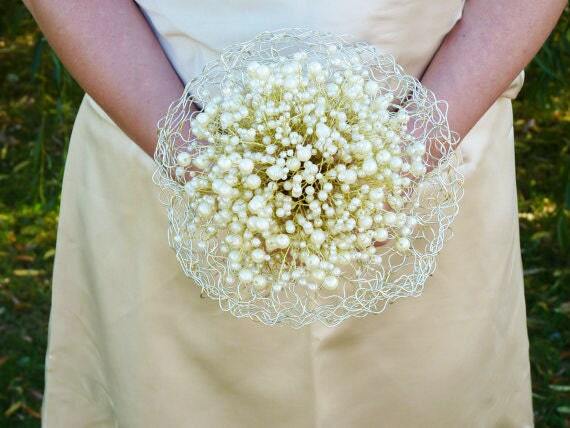 Please contact me if you need a colour or theme incorporated into your bouquet. I will do my best to help you.